I used to love going there as a kiddie just to watch the penny divers. They were village children who would jump off the entrance bridge, for coins thrown in by tourists. I was so envious and would have loved to do it myself. Tourists loved it too and would be lined up three or four deep to watch. 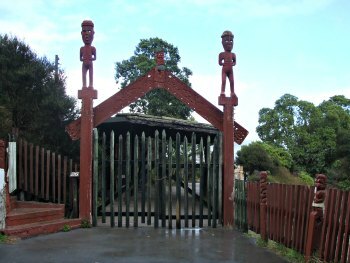 At that time, this was the main entrance to the Whakarewarewa village and the thermal valley. 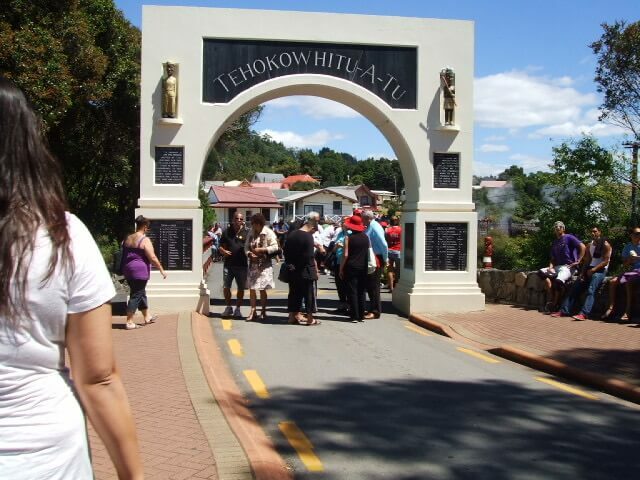 The place used to buzz with people, a bit like this pic below, at a recent Whakanui open day celebration. Not so now. 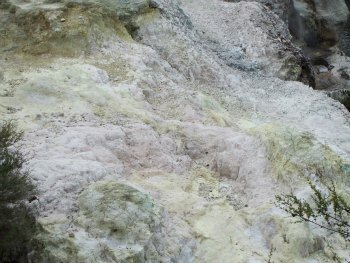 Ever since the Whakarewarewa thermal valley was split down the middle in 1997, the foot traffic through Whaka, as we call it, slowed down. Possibly because of this, it has retained a sense of authenticity that can sometimes be taken as missing from Te Puia, next door. I've had quite a number of visitors through the museum comment on that authenticity. 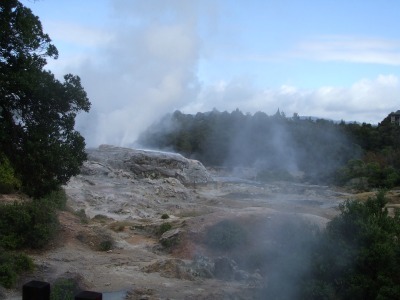 Whakarewarewa Thermal Village and Te Puia, the adjoining thermal attraction, were once one body, as mentioned above. But now they are separated by a bolted gate. The rift came about when the government wanted to go in a different direction from the Tuhourangi tribe. The net result is that the bolted gate, which appeared overnight, is still shut today. There is a glimmer of light appearing in the steaming mist though. A lot of hard work has been going on behind the scenes for years now, and it looks very close to a resolution that will see these two institutions reunited. 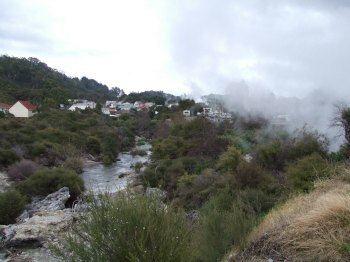 How it will look, we don't know, but the main thing is that the whole of the Whakarewarewa thermal valley will once again be back in the hands of the Te Arawa people. Yay. It also means that visitors won't have to visit two separate attractions. Double yay. What you get at Whaka today is still the village where the Tuhourangi/Ngati Wahiao people have lived for a few hundred years now, and that is the really cool thing about it. They LIVE here. What you see is the real deal, not a reenactment of times gone by. The fact that they choose to share this with visitors is amazing. I don't know that I would like visitors walking around my house peering inside, how about you? It would be quite disconcerting actually. 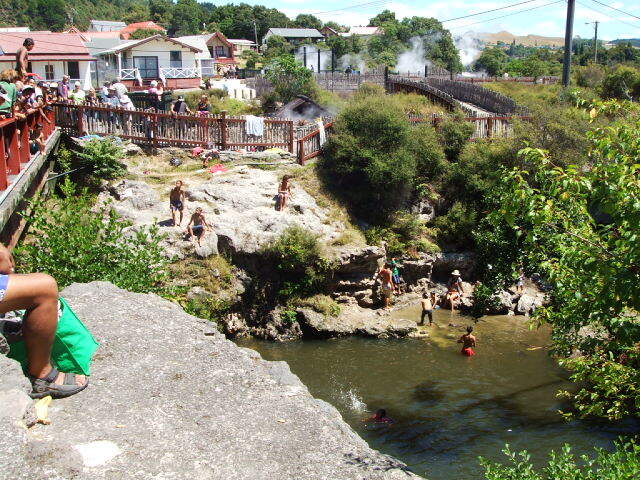 Speaking of houses, because of where we live, and I'm meaning Rotorua here, it has been known to happen that a hot pool (ngawha) suddenly appears overnight. Underneath a house. The owners have woken up to find their house partially sunk, scary huh? You just never know. Back to the village. Find out how the villagers live with the thermal while wandering amongst the houses and thermal pools. Guided tours that run hourly are a great source of information and learning so make sure to jump on one. Guiding is in the blood here in the village as they have been doing it for generations now and that's a whole other story in itself. A cultural performance takes place twice a day and you can try your hand at weaving and also eating food straight out of the hot pools or stone ovens. And don't forget. 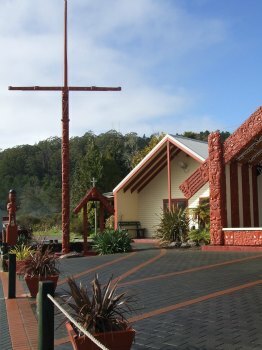 You can always spend the night with a marae stay. Tip: You can view the geysers erupting on the Te Puia side of the Whakarewarewa thermal valley but you can't get close to them from this side... YET. Blasted gate. At the moment, work is going on to create a new experience, 'The Legacy & The Footprint Between Whakarewarewa And Tarawera'. 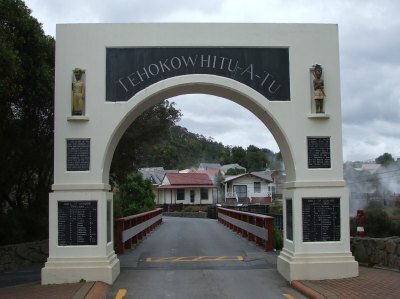 This will be great as it traces the journey of the Tuhourangi people from Tarawera after the mountain erupted in 1886, to their resettlement at Whaka. I think there will be quite a bit of walking on this one. Between this and the opening up of the valley in the near future, things are looking very bright indeed for this Rotorua māori village.